SecureVideo - How does SecureVideo work for patients? How does SecureVideo work for patients? How does SecureVideo work for clinicians? 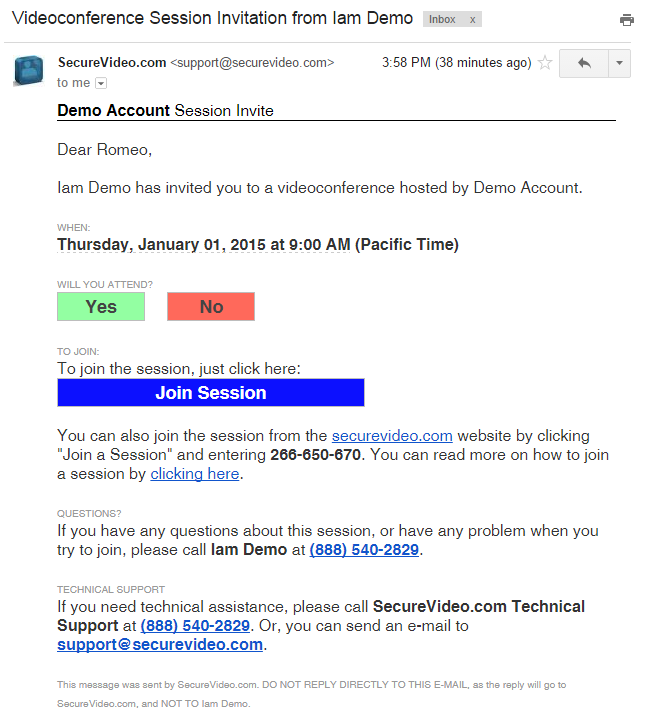 How do I create a free SecureVideo account? If you entered contact information for your participant, they will receive an invitation with the option to RSVP and information on how to join. 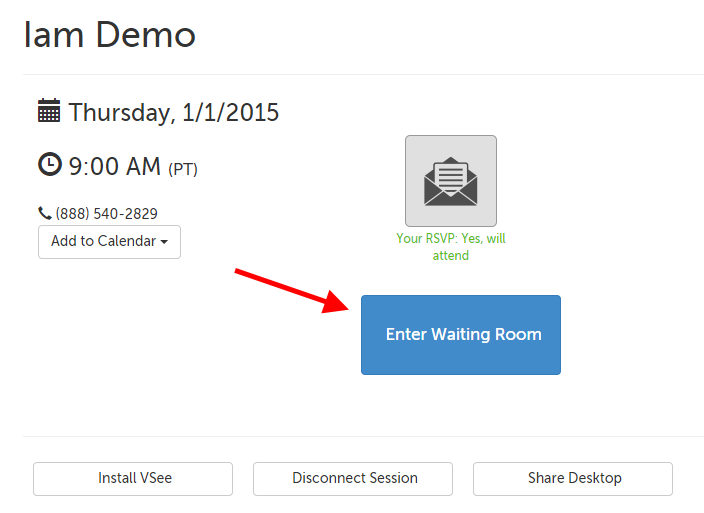 When your patient uses the "Enter Waiting Room" button, it will launch the videoconferencing platform, and you can connect to them when you're ready. This article was last reviewed by our Support team on April 7, 2015.